Dissakisite-(La): Mineral information, data and localities. Black to very dark brown. For its close relationship with dissakisite-(Ce). 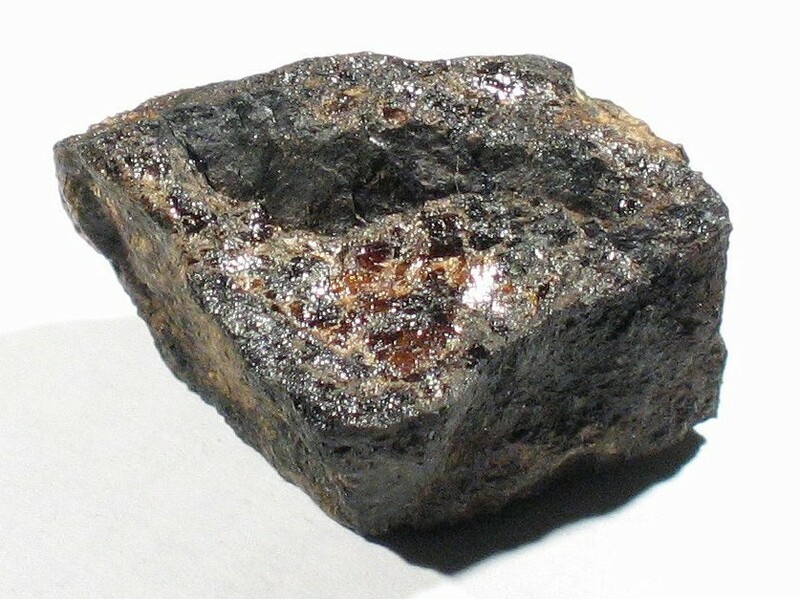 Up to 2.5cm-sized black to very dark brown anhedral nodules, thick blades and smaller grains. In Alpine-type peridotite, under eclogite-facies conditions. Bastnäsite-(La) 1 photo of Dissakisite-(La) associated with Bastnäsite-(La) on mindat.org. Tumiati, S., Godard, G., Martin, S., Nimis, P. (2005): Dissakisite-(La), a new end-member of the epidote group from the Ulten peridotites (Italian Eastern Alps): Evidence of mantle-crust interactions in subduction zones. Geophysical Research Abstracts, 7, 00616. Tumiati, S., Godard, G., Martin, S., Nimis, P., Mair, V., Boyer, B. (2005): Dissakisite-(La) from the Ulten zone peridotite (Italian Eastern Alps): A new end-member of the epidote group. American Mineralogist, 90, 1177-1185. Lavina, B., Carbonin, S., Russo, U., Tumiati, S. (2006): The crystal structure of dissakisite-(La), a new member of the epidote group, and its structural variations after annealing of radiation damage. American Mineralogist, 91, 104-110. Tumiati, S., Carbonin, S., Mair, V., Russo, U. (2006): Dissakisite-(La). Nuova specie dalla Val d'Ultimo, Alto Adige. Rivista Mineralogica Italiana, 30(4), 244-247. - Bačík P. & Uher P., 2010: Dissakisite-(La), Mukhinite, and Clinozoisite: (V,Cr,REE)-rich members of the epidote group in amphibole-pyrite-pyrrhotite matabasic rocks from Pezinok, Rybníček mine, Western Carpathians, Slovakia. Canadian Mineralogist, 48, 3, 523-536.